For many, the kitchen is the hub of your home. From weeknight family dinners to holiday gatherings with friends and loved ones, your kitchen is a place of warmth, camaraderie and comfort for all who enter. 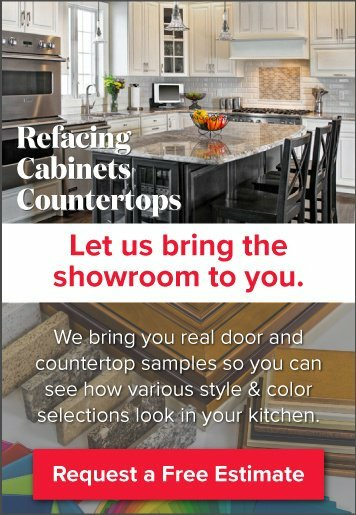 If your kitchen could use a little help, or you are considering a renovation to turn drab to fab - we have just the thing for you! 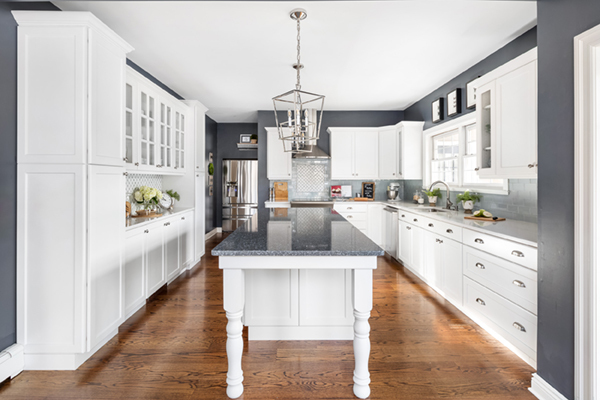 Discover the distinguished beauty of our January Kitchen Remodel of the Month in a breathtaking blue and white kitchen color scheme. Replace: Reface and replace some cabinets, new countertop and backsplash for a fresh new look. This blue and white masterpiece now features the crisp, clean look of Kershaw styled cabinets finished in Satin White. 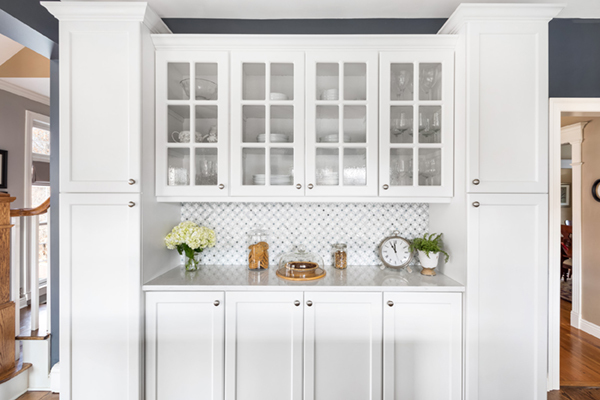 The shaker style-esque cabinet doors contribute to a seam-free look that is virtually maintenance free. Incredibly forgiving with fingerprints and smudges, these Kershaw styled cabinet doors only need a simple wipe with a damp cloth - making clean up easier than ever. Creating a strongly functional space doesn't mean you'll need to completely gut your kitchen! For this kitchen, the homeowners created a hybrid solution that combines budget-friendly choices with beautiful, well-designed finishes. 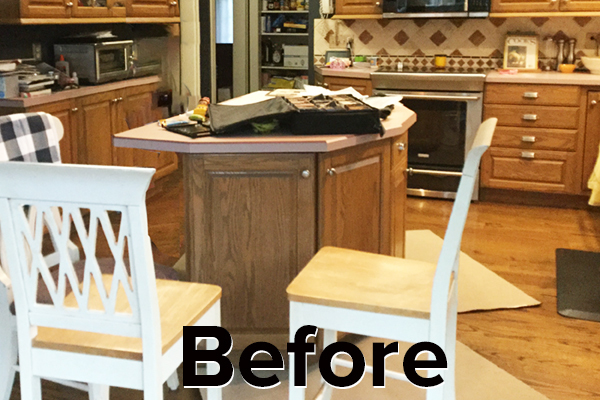 Cabinet refacing was the perfect choice for this family who already had existing cabinets that were well-made and sturdy. This left more room in the budget to add a few cabinets, allowing for the relocation of the fridge and an island replacement to maximize the work space and the aesthetics of the room. Thoughtful design and a well-planned palette will ensure your new space never goes out of style. This stunning blue and white kitchen features USA Made Cambria quartz countertops for superior durability and performance. 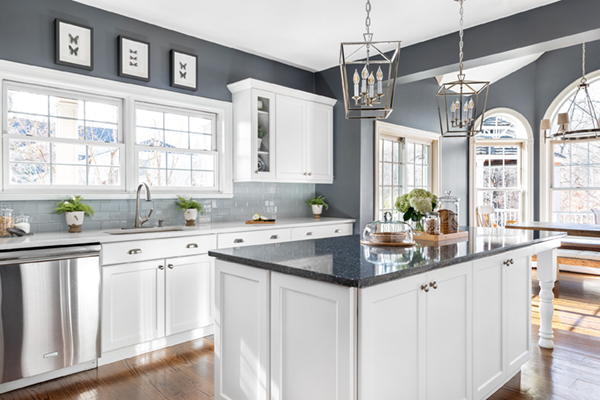 To add depth and contrast, this family chose to incorporate Cambria's Parys, a blue & gray blend for the island, as a centerpiece and Cambria's Swanbridge for the remaining countertops. 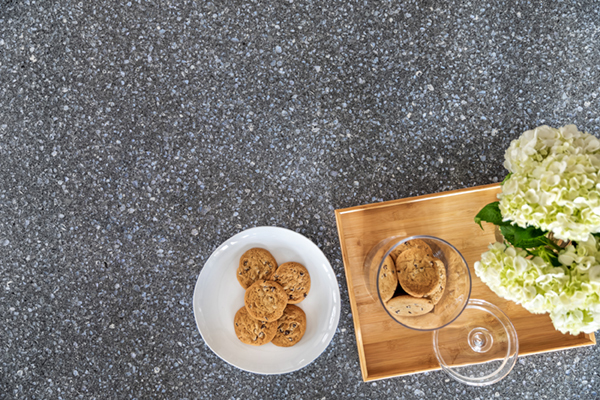 "High contrast between surface materials or using more than one countertop design in a space is a big trend we are seeing," said Summer Kath, EVP of Business Development & Director of Design for Cambria. "Cambria's Swanbridge on the perimeter reads white but features a marbled background with grays and charcoals which pair perfectly with Cambria's dark and sophisticated Parys on the island. The combination of these two coordinated designs creates a cohesive and unexpected look in the kitchen." 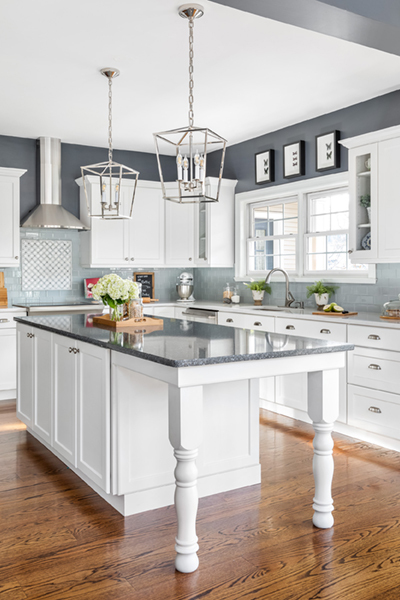 To create a timelessly classic look, this striking kitchen design includes glass front doors and French-styled legs for the island. For the backsplash, ceramic subway tiles in Matte Desert Grey were used to compliment the Cambria quartz countertops. To add texture and depth to this stunning space, a patterned mosaic in coordinating hues went above the stove and was then repeated on the banquet backsplash to tie the overall design together beautifully. In-house Interior Designer, Lauren O'Donnell, from build.com recommends "Mini but mighty updates are a useful trick when it comes to adding impact to a design." No matter what the vision for your new kitchen, the possibilities are simply endless. Whether you desire a classically modern design, old-world rustic, or anything in between, we can help! 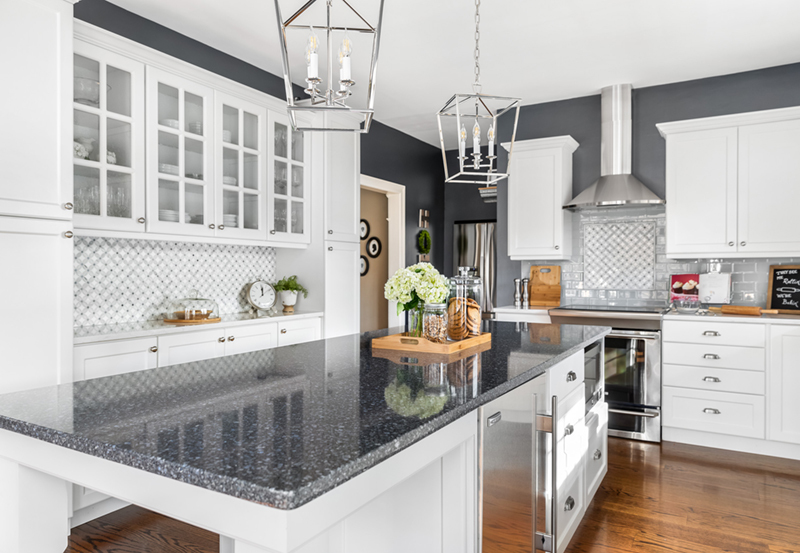 Our experienced kitchen professionals will work closely with you to help you choose the perfect palette, matching materials, and lighting solutions that best fit your specific needs and overall vision. If you are ready to turn your visions into reality, we are here for you! For your convenience, you can schedule your free consultation online today! Simply click or call (800) 272-5490.